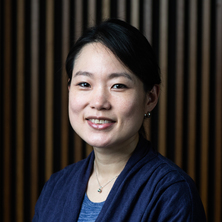 Jiwon Kim is an ARC DECRA Fellow (2019-2022) and Lecturer in Transport Engineering in the School of Civil Engineering. She joined UQ in 2014 after completing her PhD research at Northwestern University. Her doctoral work was on the travel time reliability of transportation networks. Prior to joining Northwestern, she worked as an assistant manager at Samsung C&T (Engineering & Construction Group). She received Bachelor’s and Master’s degrees in civil engineering from Korea University. Kim, Jiwon and Mahmassani, Hani S. (2014). Compound gamma representation for modeling vehicle-to-vehicle and day-to-day travel time variability in a traffic network. In: TRB 93rd Annual Meeting Compendium of Papers. Transportation Research Board 93rd Annual Meeting, Washington, DC, United States, (). 12-16 January 2014. Dr. Kim is also happy to consider other topics related to transport planning and operations, traffic modeling and analysis, and urban traffic management.